Meet Cardrona's new lift & terrain for 2019: Pringles Quad! Summer 2019 is set to be another busy one of developments up here at Cardrona – we've got a new lift to access advanced terrain at "Pringles"! Pringles offers 55ha of new advanced, technical terrain. The Pringles Quad chairlift will be installed in the basin directly below Captain's Express & above Pringles Creek, with the top station just above Captain's Pizzeria. Remember that chairlift we've had sitting up our sleeves since we installed the McDougall's Chondola? The team at Doppelmayr are currently upgrading it so we can repurpose it – the old McDougall's Quad will become the new, improved Pringles Quad for 2019! Pringles will increase Cardrona's lift capacity from 5500 to 7000 skiers per hour (a 20% increase in uplift). That added capacity will take pressure off our existing lifts, especially Captain's & Whitestar Express. The new trails will take our terrain percentage split to 25% beginner, 25% intermediate, 25% advanced & 25% expert - making the mountain a playground for all levels of skiers & snowboarders! 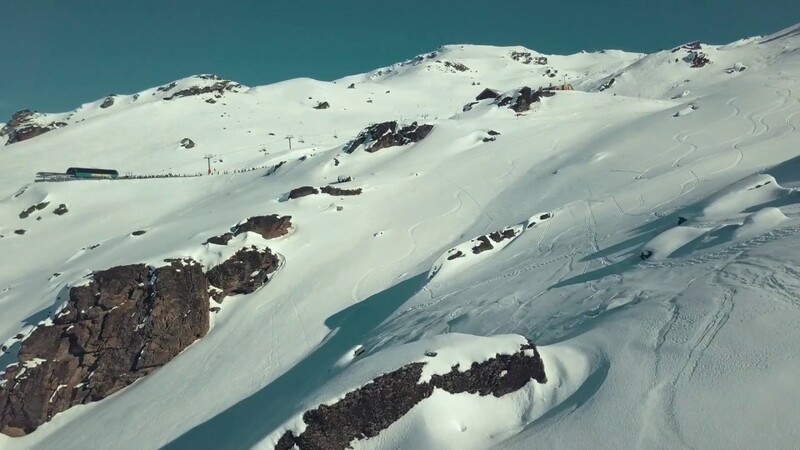 The Pringles install takes Cardrona's skiable terrain for Winter 2019 to 400ha. Once the Soho development goes in we'll more than double that terrain to 900ha total – NZ's largest single commercial ski area. We're REALLY excited to get skiing & snowboarding down at Pringles next winter, & we'll keep you all in the loop as trail & lift work gets going early next year! Check out the Pringles terrain!